What is this dark enchantment that keeps the human race from facing the inevitable? Maturity means living without denial. But you are grasping at every possible means to avoid the inevitable. You give your hopes to all sorts of kingdom counterfeits and substitutes; you give your heart over to mere morsels. You mistake the promise of the kingdom for the reality and give your being over to its shadow. 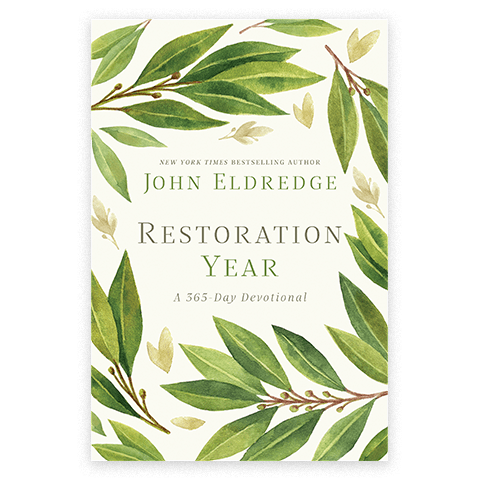 But when you finally accept the truth that you will lose everything one way or another, utterly, irrevocably, in this life—then the Restoration is hope beyond your wildest dreams. I don’t mean to be unkind, but you do need to be honest about your losses—both those you have suffered, and those that are coming. What exactly in your life can you control? Be perfectly frank about that.